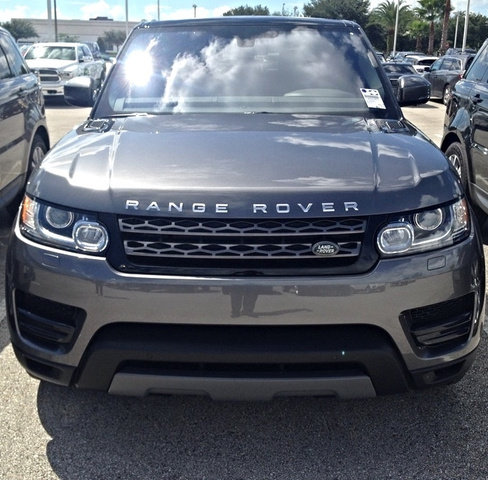 CarGurus has 7,673 nationwide Range Rover Sport listings starting at $3,795. How could a full-sized SUV possibly handle this well? That's what Land Rover wants you to think while driving its 2016 Range Rover Sport. And reviewers of the Range Rover Sport often do start their reports this way. Land Rover is not afraid to define the Range Rover Sport for fans, calling it “the most agile and dynamic Land Rover", a bold statement for a company that makes the Range Rover Evoque, which is the closest thing to a sports car yet to wear crossover clothes. But the 2016 Range Rover Sport will be more than just an SUV/Crossover built to look sporty. Its aluminium-intensive construction lowers mass to improve its performance in many ways, and the full air suspension works to provide on-road capabilities that very few other vehicles of its size can provide. Coupled to these is the Range Rover Terrain Response system that turns the Sport into a formidable off-road machine, on par with all the systems found on dedicated off-road SUVs. From the driver’s seat forward, the five-passenger 2016 Range Rover Sport is bascially a Range Rover. That means ultra-luxurious appointments, superior build quality, and an ability to go off-road that matches the best SUVs on the planet. This combination seems to be at odds with itself, but it somehow isn’t. The Range Rover Sport's exterior design is classic modern Range Rover, although its front end and side panels are unique to the Sport. And the Sport itself is five inches shorter in length than the Range Rover, and couple inches lower to the ground. The Sport’s lowered stance does mean reduced minimum ground clearance, which is still a respectable 8.4 inches in standard mode, or 10.9 inches in off-road mode, a smidge less than on the full-sized Range Rover. Customers like to customize their Rovers, and the Sport is offered in 16 exterior colors, not to mention the variety of wheels, from 19” to 22”, that are available depending upon trim. Inside, the 2016 Range Rover Sport features plush comfort for all passengers, but the cockpit is largely centered around the driver. The twin-needle stitching on the leather seats and trim do not detract from the functionality of the deep front bucket seats with their firm side bolsters. There are nine interior color themes and four trim colors, two of which are real wood, and three headliners are available. The infotainment system uses a touch-screen rather than a mouse for simplicity of operation, and the gauge cluster is a full TFT (thin film transistor) screen with either a 5-inch diameter or a full 12.3-inch screen display, depending on the trim. Land Rover has worked hard to remove buttons while still keeping the vehicle user-friendly. There are to be six trim levels for the 2016 Range Rover Sport, using three different engines. The SE and HSE trims will be offered with either a 3.0-liter supercharged gasoline engine with 340 hp, or a 3.0-liter turbodiesel with 254 hp and a whopping 443 lb-ft of torque at a low 2,000 RPM. The Range Rover Sport Supercharged, Supercharged Dynamic, and Autobiography will employ a V8-gasoline engine with 510 hp. The Sport SVR also uses that V8, but its engine is tuned to a whopping 550 hp. All engines are mated to an eight-speed automatic transmission made by ZF and tuned by Land Rover. These impressive engine offerings will give the 2016 Range Rover Sport 0-60 mph times ranging from about 7.1 seconds in the case of the diesel to as low as 4.4 seconds for the SVR with the high output V8. Fuel economy ranges from about 25 mpg combined for the diesel models to a thirsty 16 mpg combined for models with the V8. Prices for the 2016 Range Rover Sport will start at about $66,000 and run to over $120,000 for a top of the line model with all the options. Notable options on most models include five-plus-two seating that adds two rear jump seats, and driver assistance packages with adaptive cruise control, forward collision mitigation, and autonomous emergency braking. Buyers looking for one of the most exclusive and respected luxury SUVs will find in the 2016 Range Rover Sport all of the cache and comfort the Land Rover name promises. And the Sport adds a unique combination of on-road dynamic handling and muscle-car-like performance, a pairing that is hard to find elsewhere. 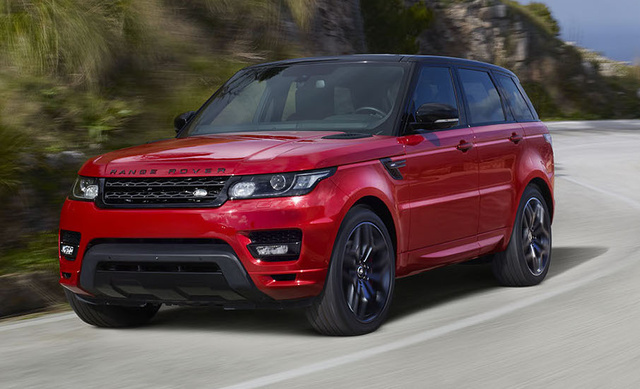 What's your take on the 2016 Land Rover Range Rover Sport? Have you driven a 2016 Land Rover Range Rover Sport? How do I find out if a 2016 Range Rover sport has a car starter on it. The dealership is not sure if it has one or not? 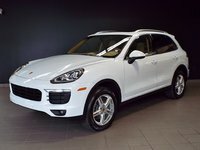 I've pinged a number of dealerships and want to make sure I am not asking the same question over and over.